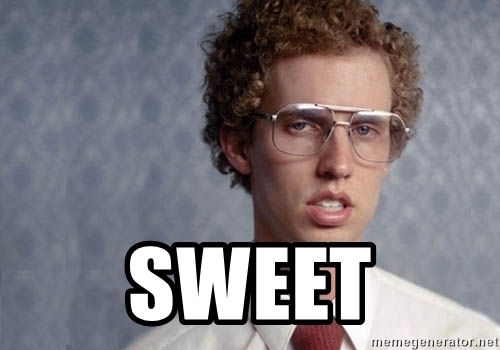 ‘SWEEEEEET, is one of the many quips from movie legend, Napoleon Dynamite (If you haven’t seen it – watch it, you won’t be disappointed)! A great film to watch when stoned too! Anyway, why are we saying SWEEEEEET? 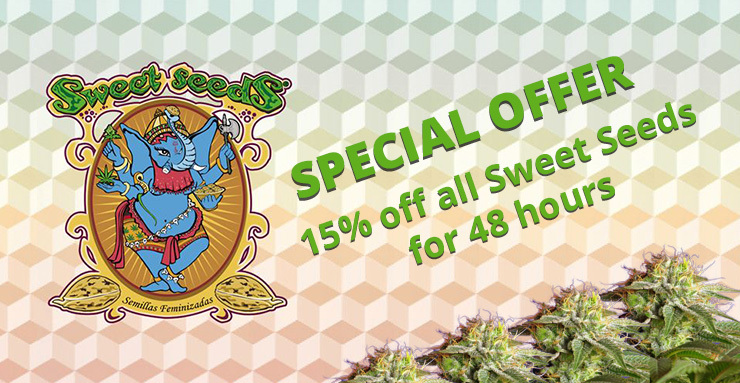 We are saying it because for the next 48 hours we are giving you 15% off all Sweet Seeds ® purchased on The Vault website. 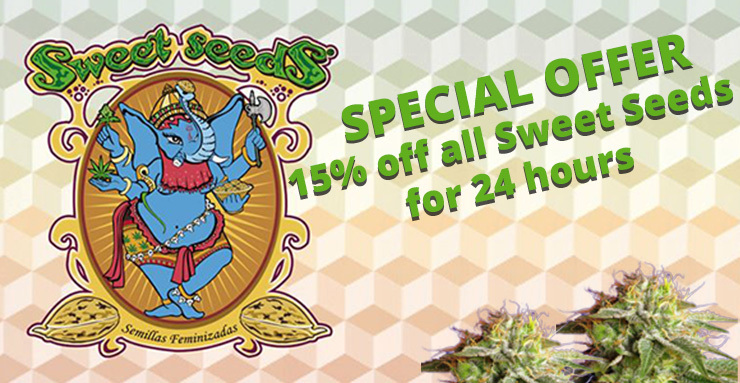 Sweet Seeds ® have something for everyone and all of their seeds are engineered for indoor and outdoor growing. They have a vast library of different strains and genetic variations which they use for testing and quality control when coming up with new and exciting strains for their customers. Each of their seeds goes through a rigorous testing period, being hand selected, thoroughly tested, and inspected before they are deemed suitable for production. They ensure that they are provided with the perfect climate, lighting, and temperature to produce the best results possible and keep the seeds fresh and potent. The only seeds that are allowed to slip through the net are those with a 95% or higher germination rate. Their feminised seeds have a phenomenal 99.7% pure female growth rate so money is not wasted on seeds that may become hermaphrodites. This may be because their main point of focus is on the user-friendly seed types known as feminised seeds and feminised auto flowering seeds. Their testing on auto flowering feminised seeds started in 2007 and they quickly produced a plant with a 100% auto flowering strain that had one of the fasted flowering periods around. Some of their fastest plants have a flowering time of just 7 ½ weeks, far faster than most other brands who usually boast a roughly 10 week maturing time. These strains were on the market by 2009 after many years of perfecting their product and making sure that it was at least one of the best strains on the market. They are still to this day working on breeding programmes that allow them to cross their finest pre-existing strains with the auto flowering gene. This brand has an impressive array of different strains and seed types, supplying something for even the most discerning of customers. The 15% discount codes are: SweetFem15 or SweetAuto15 and will last for 48 hours from the time this blog has been posted! That link again is: Sweet Seeds ® The Vault website. Remember: It is illegal to germinate cannabis seeds in many countries and some remote, less enlightened planets outside the core systems. It is our duty to inform you of this fact and to urge you to obey all of your local laws to the letter. The Vault only ever sells or sends out seeds for souvenir, collection or novelty purposes. I am an all rounder when it comes to the business side of cannabis. I like to make sure our customers are happy and at the same time, make sure they are aware of our cannabis seed product range. I love being quirky on social media so always keep an eye out for us there with the hashtag #TeamVault. I'm also partial to the odd discount so it's worth while tracking us on Facebook, Twitter, Instagram and Pinterest. Competitions / Giveaways, Other Seeds Information, Special Offers, The Vault Cannabis Seeds #TEAMVAULT, Cannabis Seeds, marijuana, seeds, Sweet Seeds. permalink. 420 HempFest Glasgow 2019 – See You There? Win seeds in our Sensi Seed Promo - 4 chances to win. Seedsman Seeds and The Vault Cannabis Seed Store! Cannabis Seeds are sold as adult souvenirs. What does 420 mean to Cannabis Smokers?